This weekend we were driving around in the snow flurries when we saw a beacon, the long beam of a searchlight sweeping the skies of the Carson Valley. And even though we had groceries in the trunk, we were drawn to this light, and followed its signal until we found ourselves at the new Sierra Nevada Trading Company grocery store in Minden. The Sierra Nevada Trading Company is the “anchor store” of the new Minden Village shopping center along Lucerne Street in Minden. For the longest time Lucerne was just the road you took to get to the Windhaven neighborhood. But over the last two years a new shopping center has sprung up, stretching all the way along Lucerne between Hwy 395 and Ironwood Drive. (Map it) And at the north end of this center, right at the corner of Lucerne and Ironwood, is the Sierra Nevada Trading Company. This is the first grocery store in Minden in a long time. There used to be a couple of grocery stores located downtown, along Esmeralda, but they closed decades ago. And Safeway has long talked about building a store next to the AM/PM, even putting up signs announcing its construction. But nothing ever came out of it. Everyone in Minden had to go to Gardnerville to do their shopping. But now, with the opening of SNTC, they can shop a little closer to home. The opening day was February 3rd, but they’re having their grand opening celebration this weekend. We visited the store last night, and it’s a nice little place. It’s like a small neighborhood grocery store, only about eight aisles wide. But they have a produce section, a meat department, a deli counter, and they carry most of the national brands. The one stumbling factor I saw is that the prices are kind of high. Now, I guess that’s just part of doing business. A huge chain like Smith’s or Scolaris can afford to buy and sell in volume, and that keeps their prices lower. A small outfit like this doesn’t have the same advantages, and has to keep prices higher to stay in business. 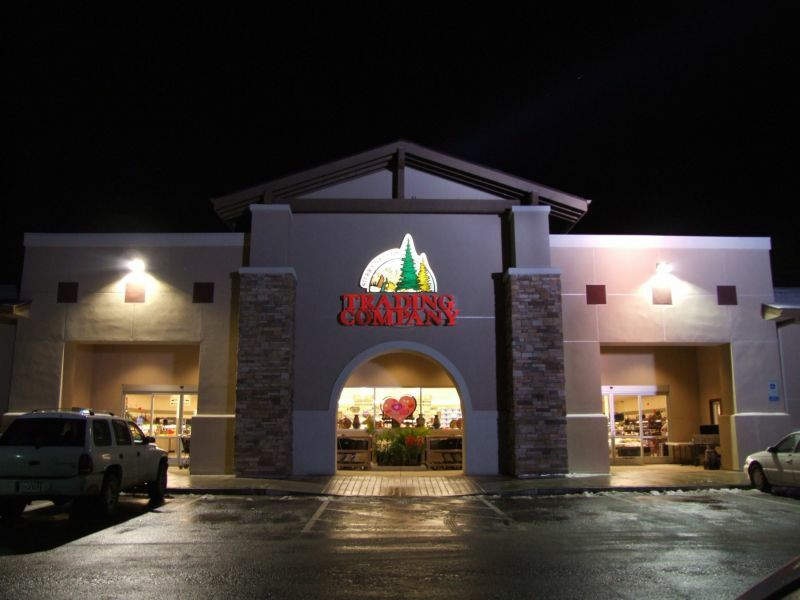 It was the same way with Gorman’s supermarket that used to be out in the Ranchos; nice place, but prices were high. And you saw what happened to Gorman’s: they had to shut their doors because everybody was still going to Smith’s. Hopefully the same doesn’t happen to SNTC. It’s a really nice little market, and it’s good to have a place to shop that’s close to Minden, without having to drive all the way to the other end of Gardnerville and the congested trilogy of Raley’s/Smith’s/Scolari’s. Unfortunately, the prices are so much higher (50% or more on some items) that most people will find it worth their while to make the long drive, and stay away from SNTC. Previous The Freeway Is Open!